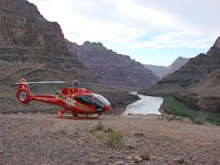 See the beauty of the Grand Canyon with the world’s oldest and largest helicopter touring company. Come see the majestic beauty of the Grand Canyon on a variety of tours. Choose from helicopter air only flights, landing tours, airplane tours, combo tours, all-day excursions, or a stunning flight to the bottom of the Grand Canyon at the Havasupai Village. 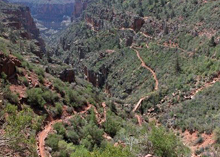 Soar above the North Rim and see the Dragon Corridor or the serene Eastern canyon. 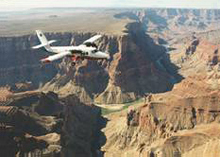 Grand Canyon Airlines has been showing its guests MORE of the Grand Canyon since 1927. Get ready for the adventure of a lifetime on a stunning airplane tour of the Grand Canyon and beyond. See the South and North Rims on-air only flights or visit Monument Valley, and Rainbow Bridge/Lake Powell on combo or all-day excursions. 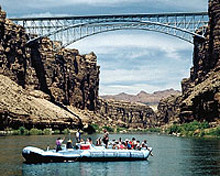 Tours depart daily from both Grand Canyon and Page, AZ. Step aboard for a luxury tour on an EcoStar helicopter with stunning flights over the Grand Canyon. 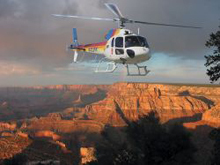 Fly in luxury aboard a state of the art EcoStar helicopter over the Grand Canyon on several exciting tours. Soar into the North Rim of the canyon or above the Eastern canyon with its quiet, serene beauty and colorful, majestic spires. 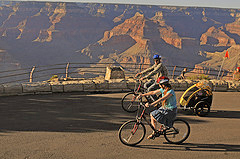 The Grand Canyon offers some outstanding opportunities for biking. From the Park’s forested greenways to our shuttle route which gives you access to a restricted area of the park where vehicle traffic is prohibited, there is something for everyone. We provide high quality bikes for rent and we equip you with all the safety equipment and maps required to help you have a memorable, enjoyable experience. 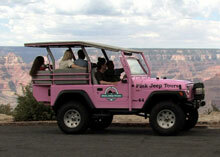 Pink Jeep Tours Grand Canyon, offers amazing tours to the most spectacular viewpoints at the South Rim of the Grand Canyon. If you’re looking to see the best of the Grand Canyon, then let Pink Jeep Tours guide you to new heights and widen your perspective of some of the most beautiful views in the world. 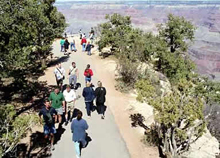 Your interpretive guide will provide interesting facts about the history, geology, flora, and fauna of this amazing area, ensuring an incredible Grand Canyon experience. Offers an indoor pool, spa, and all the comforts of home. This hotel is across the street from Big E and close to the IMAX Theater. Go for a swim in the indoor pool, relax in the spa, jump on the free high-speed internet, or just get a great night’s sleep with a complimentary Express Start® breakfast waiting for you in the morning! 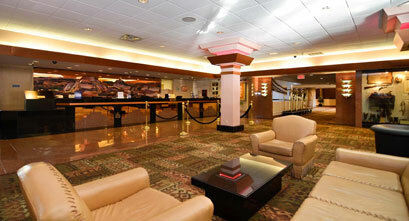 Offers spacious, comfortable accommodations and an array of exceptional amenities. With spacious guest rooms and suites, and indoor and outdoor activities for your group, our hotel makes group travel more affordable and hassle-free. 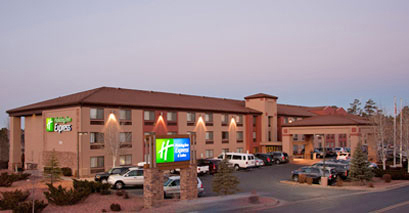 By day, explore the awe-inspiring landscape of the Grand Canyon, then return to our full-service hotel to enjoy our sports bar & game room with billiards, bowling and arcade games, refreshing cocktails at the Fireside Lounge, outdoor swimming pool (seasonal), whirlpool spa & sauna, and free high-speed wireless Internet. Complimentary hot breakfast is served each morning.